Still, narratives can explain too much. Trump is like the kid in class who perpetually misbehaves. Liberals—especially Jewish liberals—risk becoming the teacher who sees graffiti written on a locker and sends him to the principal without carefully checking the handwriting.It’s not just the JCC bomb scares. It’s become commonplace to hear Jewish liberals claim that, in the words of former Democratic National Committee Chairwoman Debbie Wasserman Schultz, Trump has given “license and permission to anti-Semites” and thus “opened the floodgates” for anti-Semitic attacks. This sordid episode is typical of the way Geller and her comrade-in-arms Spencer, co-founders of the American Freedom Defense Initiative, conduct their misnamed “anti-jihadist” battle. It is also a good example of why the two are no heroes for free speech. No, Geller did not “provoke” the terror attack in Garland, as a number of pundits (and even the New York Times editorial board) have deplorably suggested; her cartoon contest is not the moral equivalent of the attack, and she does not need to apologize for the exercise of her First Amendment rights or for the terrorists’ actions. She does, however, have to answer for a lengthy record of peddling anti-Muslim hysteria, targeting Muslims’ First Amendment right to worship, smearing innocent people as jihadists, and even excusing the slaughter of Muslims in the former Yugoslavia. We cannot allow terrorists to curb our speech; but we also cannot allow them to turn hatemongers into heroes. Whatever valid concerns Geller, Spencer, and their allies may raise about political Islamism wind up being eclipsed by the fact that they not only conflate Islamist radicalism with all Islam but make disturbingly little distinction between criticism of Islam and hostility toward Muslims. In a contentious interview with CNN host Alisyn Camerota Monday, Geller indignantly denied that she paints Islam “with a broad brush,” declaring that she is “anti-jihad” and “anti-sharia.” But for the most part, she and Spencer make almost no secret that they regard radical Islam as indistinguishable from Islam itself. Critics accuse Spencer of cherry-picking and distortions. While these charges often come from sources with biases of their own, there is no doubt that his account of Islamic history is blatantly one-sided. Thus, he tries to rebut the “PC myth” that Jews in the Middle Ages fared better under Islamic rule than in Christian Europe by quoting from a 13th Century papal bull that affirmed the rights accorded to Jews—but fails to mention the many expulsions of Jewish communities from European countries and glosses over crusader massacres of Jews. But treating Islam as a monolith, denying the possibility of reform, and demonizing Muslims en masse is not the answer. If Christianity and Judaism could transcend their scriptural and theological baggage once used to justify fanaticism and oppression, there is no reason to believe that Islam cannot do the same. Spencer has argued that Islamic reform has no theological foundation, but he ignores the work of such 20th Century thinkers as Mahmoud Mohammed Taha, who made the case for the abrogation of the Quran’s later, harsher texts by the earlier, more peaceful ones (rather than vice versa). Today, there are Muslim scholars who champion a revision of Islamic orthodoxy on everything from women’s rights to religious freedom. In 2004, over 2,500 Muslim academics from 23 countries signed a petition to the United Nations condemning “Sheikhs of terror” who use Islamic scriptures as justification for political violence. This is why, while we must stand by Geller as a victim of an outrageous attack on fundamental speech rights, it would be a tragic mistake to treat her or Spencer as leaders in the fight against the radical ideology that has been called Islamism or Islamofascism. In his 2011 response to their attacks, Jasser warned that “Geller’s and Spencer’s genre is headed in only one direction—declaring an ideological war against one-fourth of the world’s population and expecting to neutralize the Islamist threat by asking Muslims to renounce their faith.” It is, perhaps literally, a dead end. In Pam Geller’s World, Everybody Jihads – The Daily Beast. Meet Robert Shillman, the Tech Mogul Who Funds Pamela Geller’s Anti-Islam Push – News – Forward.com. One goal of the provokers in Texas seems to have been sending a message to Muslims that their faith may be criticized with impunity. Pamela Geller, the organizer, said she chose the venue because Muslims had previously organized an event there. Geller also said that Muslims generally cannot be criticized in the U.S. because of political correctness, and that she wanted to counteract what she perceives as a new social norm. The desire to condemn Islam by intentionally offending Muslims is morally unpleasant in itself. Insulting the Prophet to make a point is a bit like showing Nazi propaganda to prove that Jews can be subject to criticism: effective, but repulsive. Yet as moral wrongdoing goes, giving offense isn’t at the top of the list. You shouldn’t do it, but when you do, you’re offensive — nothing more. Compared with intimidation, for example, offense is less wrongful. If offense were all that Geller intended, she’d deserve a stern lecture about civility, not deep condemnation. By willfully trying to provoke violence, Geller was trying to create a situation in which innocent people could have been harmed or killed. Geller also had a plausible moral rationale: to strike a blow for free speech itself, after January’s attacks in Paris at the offices of Charlie Hebdo. Perhaps, it could be argued, some offense is justified in light of the need to stand up against terrorism that is intended to repress speech. But there was almost certainly another goal at work in the provocation, too. Geller clearly wanted to get a reaction from Muslims offended by the event’s intentionally offensive speech. The point of the offense was, in part, to generate a response. Perhaps all Geller wanted was to provoke a counter demonstration that would have drawn attention to her efforts. But assuming for a moment that she didn’t want to provoke a violent attack, Geller could still be held morally responsible for the foreseeable consequences of her provocation. There’s a moral theory, called the ‘doctrine of double effect’, that says you shouldn’t be blamed for foreseeable consequences that you don’t want. We sometimes rely on it, as in justifying collateral damage as a result of an otherwise morally correct use of force. This moral doctrine of double effect has no place in evaluating a conscious provocation. Geller was trying to provoke a reaction. If the reaction was reasonably likely to be violent, she can’t hide behind the notion that she didn’t want anyone to get hurt. Was a violent reaction foreseeable? I’d like the answer to be no. Plenty of insults against Muslims go unremarked, and certainly unavenged. Violent attacks like the one on Charlie Hebdo are extremely rare. Fairness toward American Muslims would seem to require us to say that the violent reaction wasn’t reasonably likely to occur. We’d then have to absolve Geller on a ground she probably wouldn’t much like. But that still leaves the question of Geller’s own subjective beliefs and intentions. It’s hard to escape the suspicion that part of her hoped to provoke a violent response. After all, it’s part of Geller’s worldview to believe that Islam is a violent religion. The bus and subway ads she’s paid for depict Islam in terms of violent jihad. She paid for an armed security guard outside the event, suggesting she considered violence at least possible. What’s more, the value of the free speech she is trumpeting is relevant mostly because cartoons perceived as insulting the Prophet have been met with violence. If Geller wanted violence to happen, her actions were morally culpable — even though she obviously didn’t commit it. Deadly attacks on Jews by Muslim extremists in January and a sharp spike in anti-Muslim acts since then have prompted the French government to elevate the fight against racism into “a great national cause,” leading government officials said on Friday. Prime Minister Manuel Valls announced a detailed plan that dedicates 100 million euros, or $108 million, over the next three years to programs and policies that combat “racism and anti-Semitism,” including a nationwide awareness campaign, harsher punishments for racist acts and increased monitoring of online hate speech. “Racism, anti-Semitism, hatred of Muslims, of foreigners and homophobia are increasing in an intolerable manner in our country,” Mr. Valls said after visiting a high school in Créteil, a suburb of Paris that has large Jewish and Muslim populations. “French Jews should no longer be afraid of being Jewish, and French Muslims should no longer be ashamed of being Muslims,” he said. …Jewish organizations welcomed the effort, as did Muslim groups, whose leaders said they had been consulted on a recent official report on racist acts against Jews, Muslims and other populations. The report, published last week by the National Consultative Commission on Human Rights, a government watchdog, found that from 2013 to 2014, the number of anti-Semitic acts had risen to 851 from 423, and that there were more aggressive acts targeting Muslims in January of this year than there were during all of 2014. Many of the recent attacks have been violent. Places of worship have been damaged and vandalized. Muslim women who wear a hijab, or head scarf, have been physically attacked, including a veiled pregnant woman who was recently beaten in Toulouse. …While the title of the government’s plan did not include the term “Islamophobia,” which is how French Muslims describe acts against them, Muslim leaders said they were gratified that the government did speak specifically about the need to fight anti-Muslim sentiments and actions in France. “The president of the republic, François Hollande, has used the word ‘Islamophobia,’ he has recognized Islamophobia,” said Abdallah Zekri, the director of the National Observatory Against Islamophobia at the French Council of the Muslim Faith. However, Mr. Zekri said he noticed that Mr. Valls had avoided using the word in the past. “Many people do not want to hear the word ‘Islamophobia’; they want to hear the word ‘anti-Muslim,’ ” he said. Mr. Valls’s presentation of the plan did not mention racism targeting people who are black or Roma, but all racist behavior would be covered by the new measures. 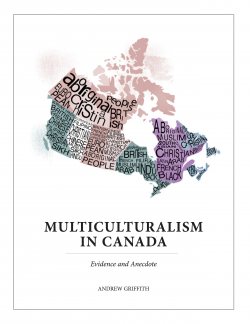 The Canadian government largely ended broad anti-racism messaging and programming around 2008 (Canada’s Action Plan Against Racism or CAPAR) in favour of a narrower focus on antisemitism. CAPAR itself was a hodge-podge of initiatives, with minimal funding, and apart from Statistics Canada police reported hate crimes reporting, its end was no great loss. But the lack of broader anti-racism and discrimination messaging, and the linkages between antisemitism and other forms of prejudice is an opportunity missed. While the French have gotten so many things wrong in the citizenship, integration and multiculturalism policies and programs, this one they appear to have right. France Announces Stronger Fight Against Racism and Anti-Semitism – NYTimes.com.